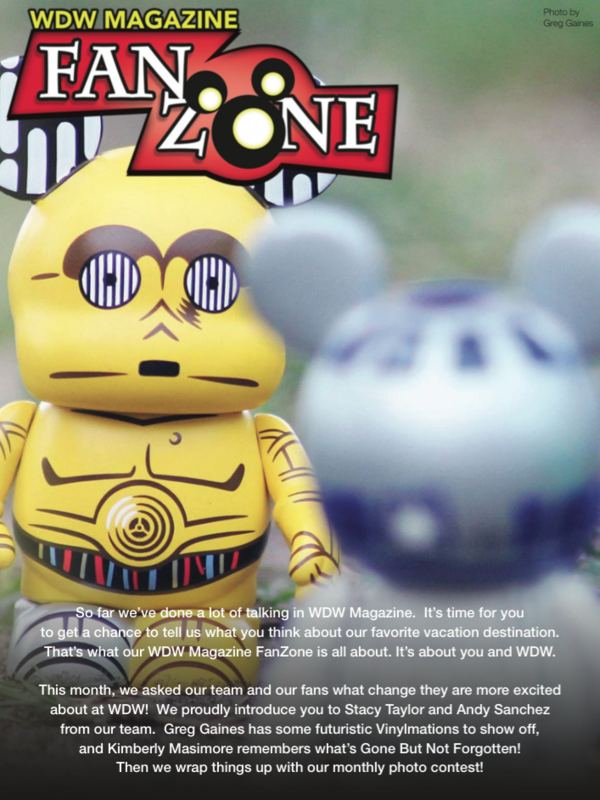 Get the Changes at WDW Issue now! 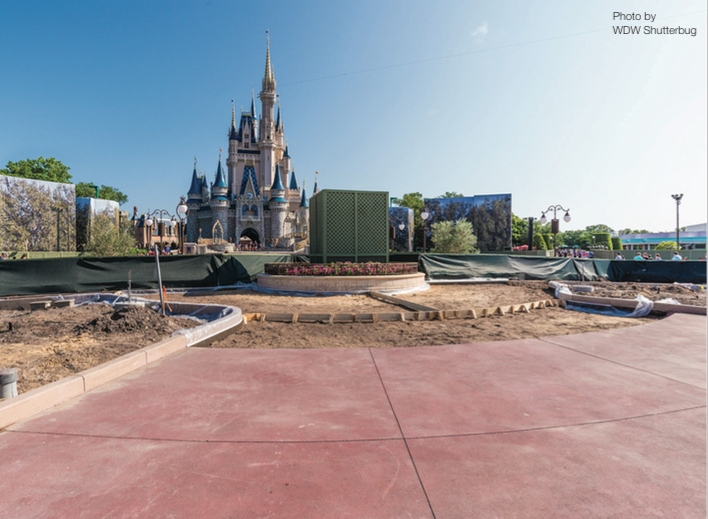 The central hub of Cinderella Castle has been receiving major renovations to expand further than ever before. Redesigning this area will now provide guests with much more space to enjoy nighttime spectaculars like Celebrate the Magic and Wishes! Moving on from the Magic Kingdom, let’s see what’s brewing in Epcot. The Norway Pavilion is expanding and changing to make way for new Frozen elements! 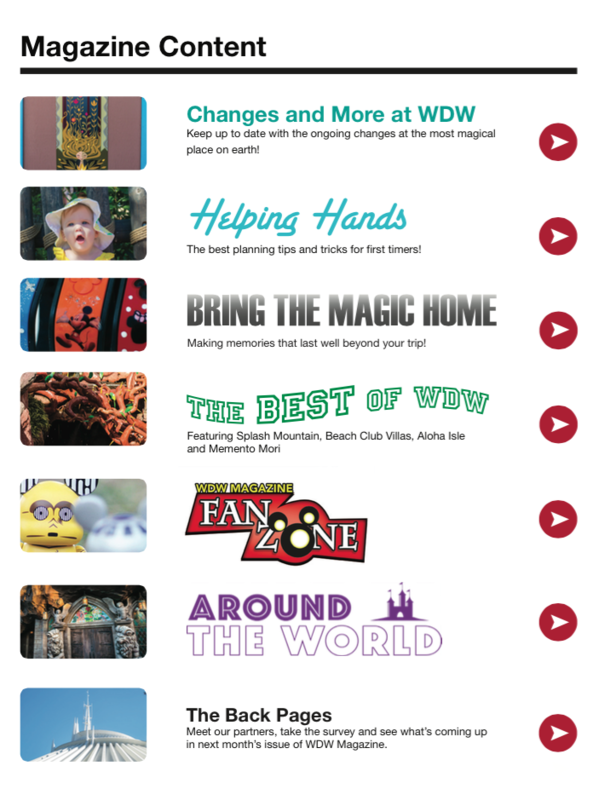 In our “Changes & More at WDW” article, you can find out all there is to know about the upcoming Frozen attraction and meet-and-greet over in the World Showcase. 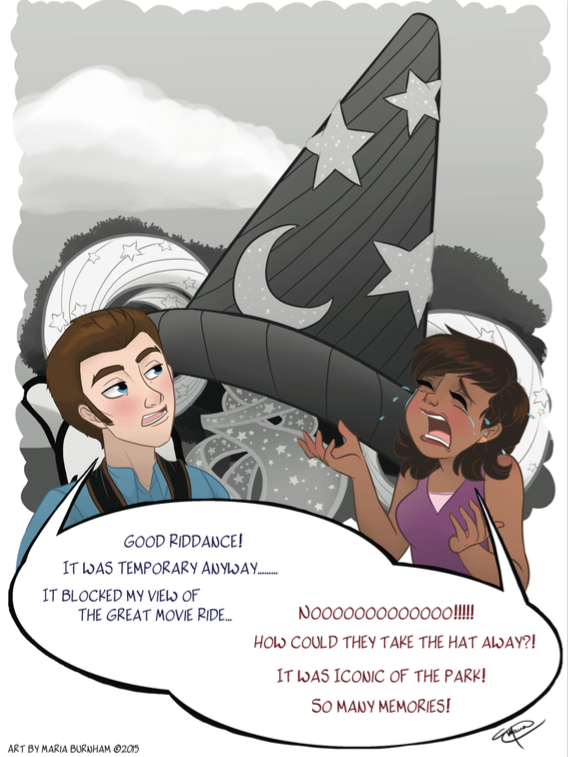 If you’ve been following along on our Facebook page, you’ll know that the Sorcerer’s Hat has been completely removed. 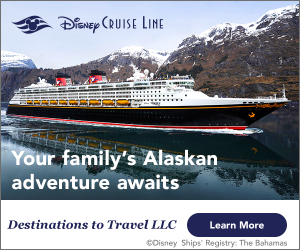 Come see what other Disney fans have to say about this! There’s a lot of excitement surrounding Disney’s Animal Kingdom! Bringing the land of Avatar, Pandora, to life is just one of the ongoing projects in this park that we just can’t wait to see. 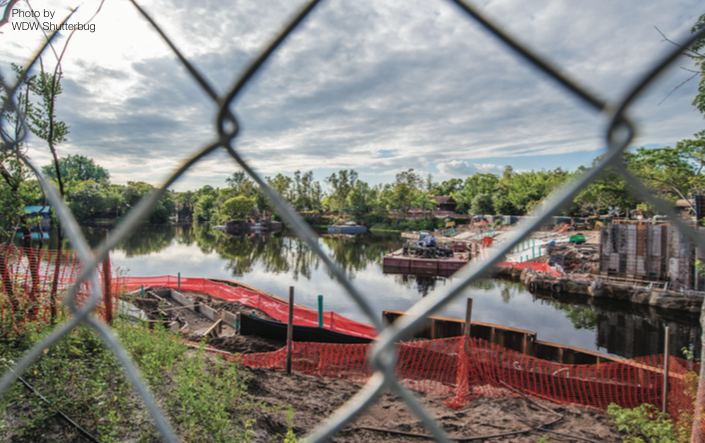 In this month’s issue, read much more about Rivers of Light (construction of this new show on the water surrounding Discovery Island shown below). After tremendous revamping and reimagining, Downtown Disney becomes Disney Springs! 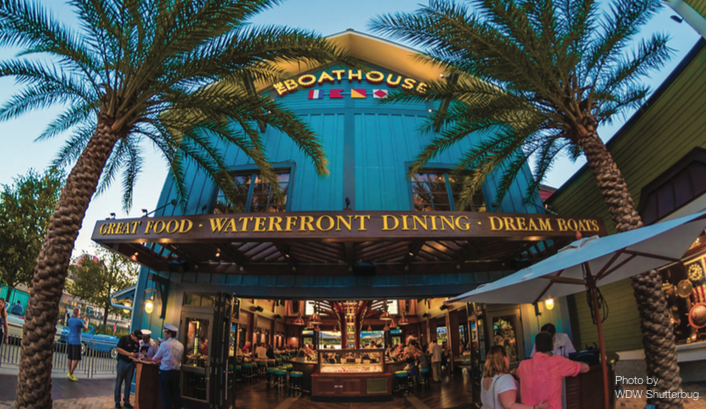 Brand new dining and shopping locations are opening up all around property–wait until you see all that The BOATHOUSE (below) has to offer! 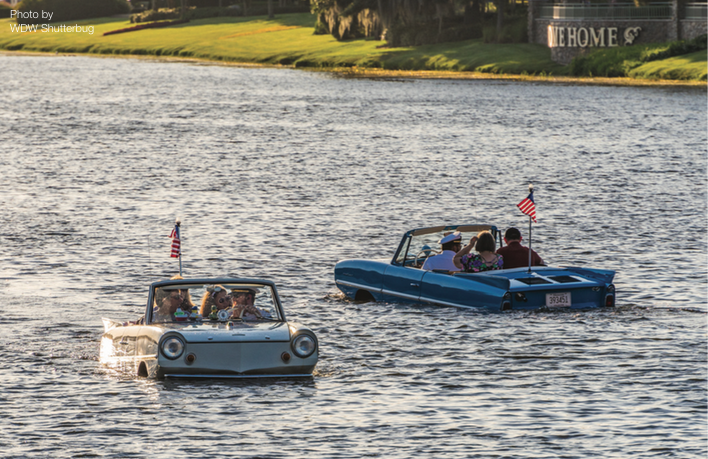 Ready to take a ride in an amphicar? 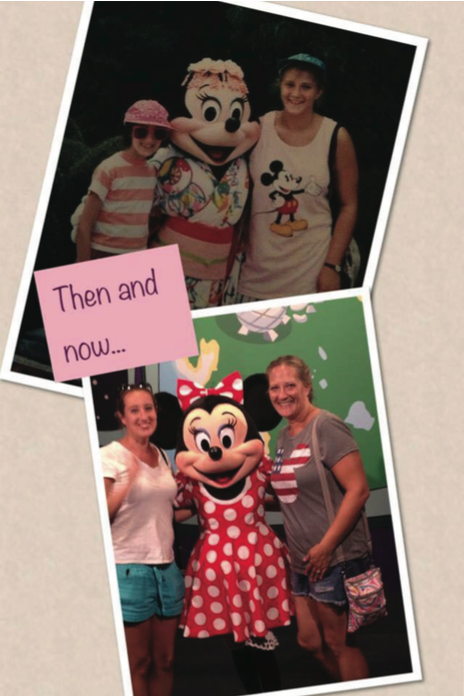 The system that entirely changed the structure of WDW vacations keeps on getting better. Improvements and additions are still being made to this system to enhance guests’ experience! Disney’s Polynesian Villas & Bungalows, the latest installment of the Disney Vacation Club is unlike anything you’ve ever seen in WDW. 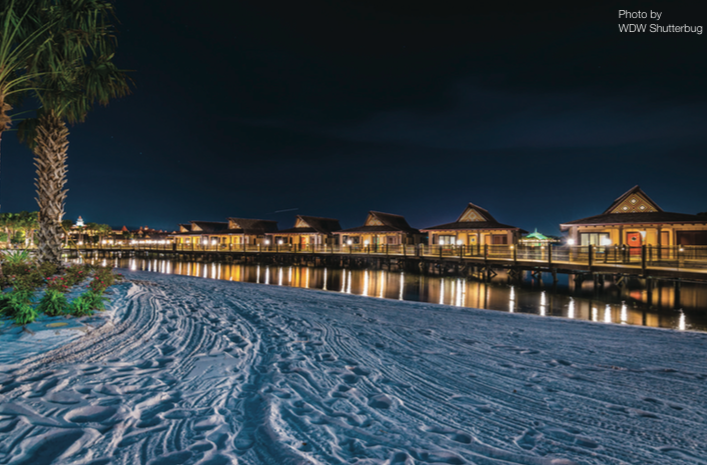 The amenities, views, and overall experience that guests get to enjoy staying in this section of the resort are enough of a reason in themselves to explore our June issue. 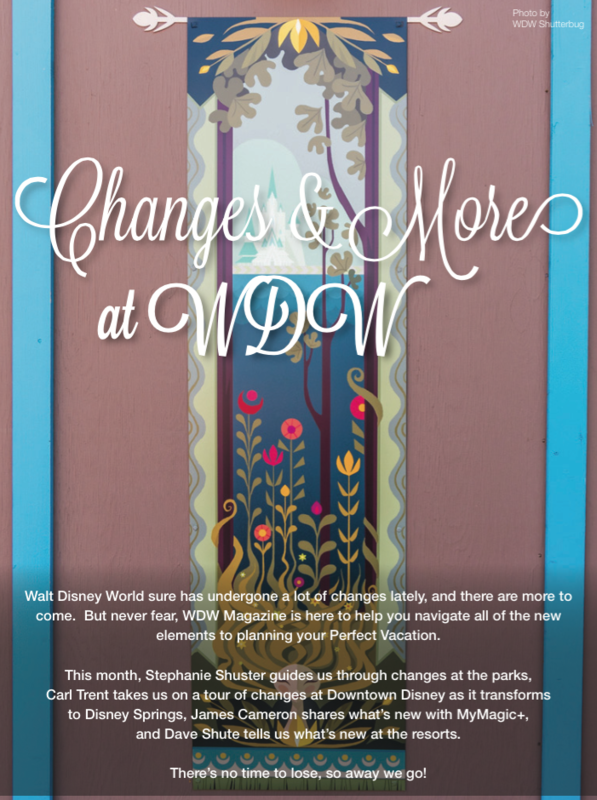 Wondering how you can keep up with the changes taking place in WDW? 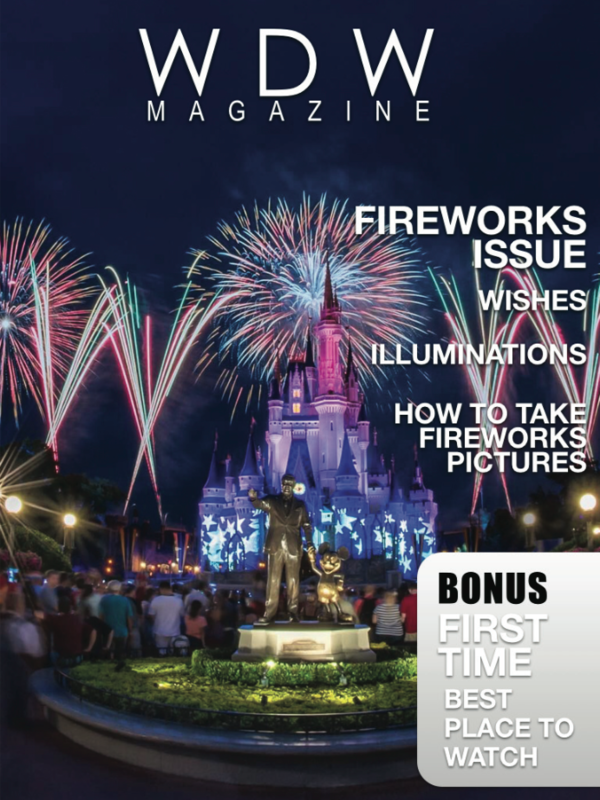 Our First Timers Corner tells how to stay up to date with all the latest WDW news. 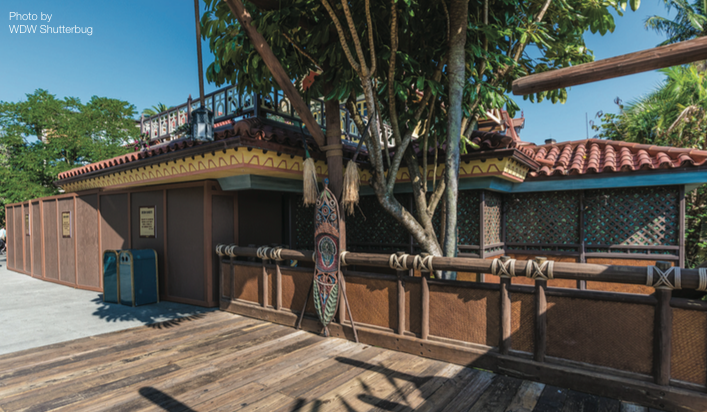 Did you know that Adventureland is scheduled to have a new Jungle Cruise-themed restaurant? 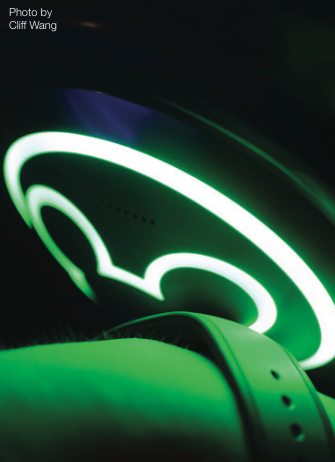 You’ll get to see more about it in this section of our issue. Here’s our Photo of the Month, as featured in the FanZone! 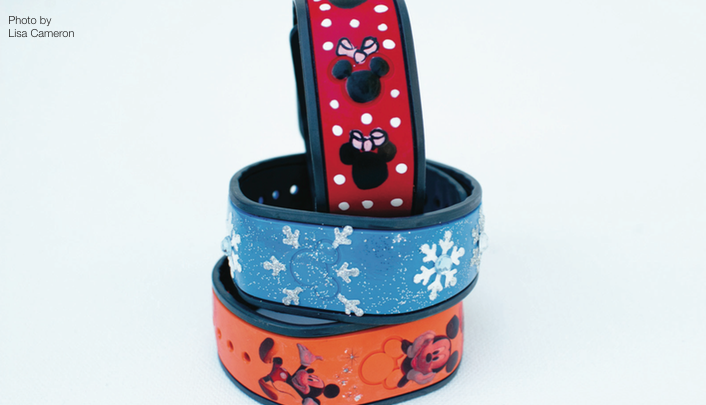 In our “Bring the Magic Home” section, learn extremely creative ideas that help you find ways to show your #DisneySide through customizing your MagicBand. Mmm… I’m getting hungry now. 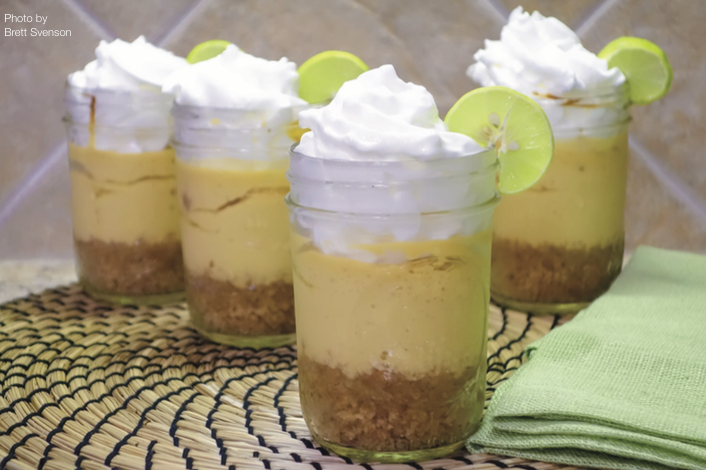 Check out the “Recipe of the Month” and find out how to make Key Lime Pie in a Mason Jar from The BOATHOUSE at Disney Springs! Wonder what we have in store for the Best of WDW this month? YOU, our Facebook fans, chose an attraction, resort, restaurant, and gift shop for us to feature–you won’t want to miss this. 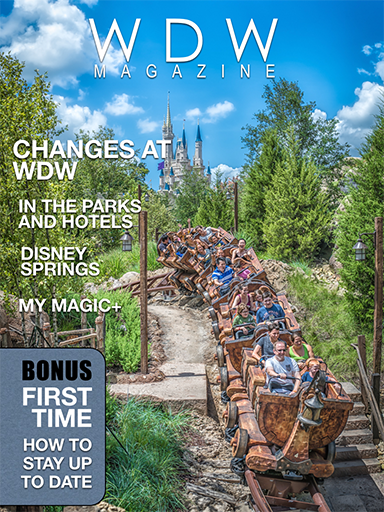 This is all just the start of it–there is so much more fun for you to enjoy in our “Changes at WDW” issue of WDW Magazine. So, what are you waiting for? It’s time to dive in!